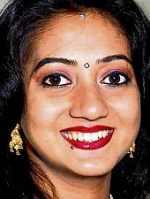 Indian dentist Savita Halappanavar died as a result of a litany of failures by hospital staff, a leaked draft of a probe report said, proving her family's claim that her death was avoidable. The report by Ireland's health ministry revealed that doctors caring for the 31-year-old dentist seriously failed to investigate, recognise and treat the infection, which led to her death. Savita died at Galway University Hospital last October 28 after she was admitted to the hospital on October 21 with severe back pain. She was 17-weeks pregnant and was found to be miscarrying. An autopsy found she had died of Septicaemia. The leaked health service executive report published by The Independent newspaper "proves" her family's claim that her death was avoidable as she had asked for an abortion several times before she died. Doctors had said their "hands were tied" due to Ireland's strict anti-abortion laws as they could still detect a foetal heartbeat. According to the leaked document, extracts of which were reported by the Irish media, the infection, which led to Savita's death was not diagnosed for three days and that staff should have considered performing an abortion even before the patient asked for it. Other failures included tests showing possible blood infection not being followed up by staff and general lack of clarity, as her condition grew progressively worse. Her husband, Praveen Halappanvar said he was in no "condition to make any statement. The family is shocked about the report being leaked". His solicitor, Gerard O'Donnell said it is essential that he is given an opportunity to ensure there were no inaccuracies in the report on his wife's death at Galway University Hospital last year and demanded a copy of the HSE report before it is finalised. "Here he is listening to the report into his wife's death being bandied about on the public airwaves and he hadn't even had a chance to look at it...It is very insensitive that this happened to say the least. However, from what has been reported as being taken from extracts from the draft report, it looks like what Praveen has said will be borne out. If what have been published really are extracts, then they appear to be accurate," he said. Irish minister for health, James Reilly, has offered to provide Praveen with the final report before it is published but O'Donnell said that would be too late. The HSE inquiry into the Indian national's death was established in November 2012 under the chairmanship of Prof Sir Sabaratnam Arulkumaran, head of obstetrics and gynaecology at St George's Hospital, University of London, who is expected to present its official findings by the end of this month. The inquiry team at first included three staff members from the hospital in Galway but they were later removed and replaced following objections by Praveen. The latest leaked draft report is dated December 27 and is the second major leak since a revelation last month that medical records confirmed Savita had requested a termination. The full inquest into Savita's death is expected to begin on April 8 at Galway Courthouse but it may be delayed as requests for key documents from the HSE on behalf of Savita's husband have allegedly been ignored. The case has re-ignited the debate around the Republic of Ireland's stringent anti-abortion laws and the country's Fine Gael-Labour coalition has said it would bring in legislation and regulation on the issue by the middle of this year.